Horaah for Nice & Easy! First may I say that I am so chuffed right now!….do you remember the hair situation a few blogs ago!…well I had my hair dyed brown at the Hairdressers (with the help of hairmixer!) for the costly sum of £100+…I know disgusting!! When I was in there a few weeks ago, with Rosie (yet more expense!) I asked how much they would charge me to have another semi-permanent put on my hair! Now bearing in mind they told me at the start that it would be cheaper to maintain for me…..I was told £50.00 thats with NO cut! Just for the roots to be done and the colour to be washed through my hair and then off course a blowdry! well needless to say I was flabberghasted…. I thought it would be more like £20.00 as they did originally say that it would be cheaper for me! Previous Post Being Creative in more ways than one! Well done Rosie, well done! And welcvome in club!That’s what I do for ages (and I meeeean ages…) Imagine how many pretty little things we can buy for all these saved hairdressercolorcosts… Lately I even have my hubbyor my daughter cut my hair – have to show you some day: it DOES look fine! Way hay! Another convert to home colourants!Not being super endowed with money, I have managed to keep my hairdressing expenses down recently. I go to my husband’s barber, a real old fashioned corner shop in a not fab area, who cuts womens hair for £7, no fancy blow drying or faffing around, and then I do the colour myself for about £5. I always used to walk away from the posh ladies’ salons feeling cheated, I didn’t match in and I never felt happy. Now I get the style I want for much less… and spend the difference on books! yay for home colourants!I’ve used them for years as I was sick to death of never getting the colour I wanted at the hairdressers…those root touch up packs are a godsend too. 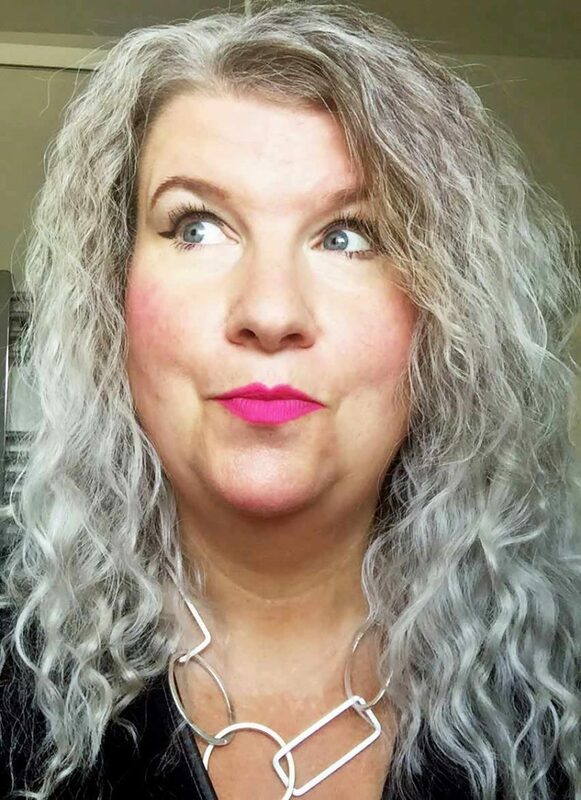 I must admit after playing around on hairmixer having seen it on your blog..I’m very tempted to go dark again..so much less hassle than doing roots then highlights!I’m off to check out your other blogs now..love the headers!